Please enter your information below to receive notifications about Kim Oliver Burnim’s webinar on reading and phonics. Type your child’s next science question into a search engine, and choose “images.” Have your child pick one, and visit that site together. Help your child take pictures of things of interest. Later, talk about the pictures using descriptive language to build vocabulary. 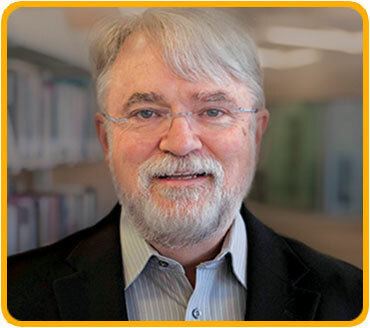 Mr. Donohue served as co-chair of the team that authored the NAEYC/Fred Rogers Center Joint Position Statement on Technology and Interactive Media as Tools in Early Childhood Programs Serving Children from Birth through Age 8. Mr. Donohue specializes in assisting early childhood educators in appropriate integration of technology into their classrooms. Mr. Donohue was recently interviewed about using technology as a tool for early learning. Why do you think it’s important for parents to be thinking about the role of technology in the lives of young children? Chip Donohue: Smartphones and tablet computers are devices adults use every day, and as a result, they’re part of the lives of young children. That means that young children are going to be using those devices for the same things that adults use them for: communication, accessing information, entertainment, and education. That’s inevitable, so we think that parents ought to be aware of how the use of technology can influence young children. 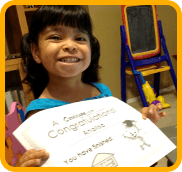 Are there benefits to using technology for education for young children? Chip Donohue: There certainly can be, as long as technology is part of a thoughtful and balanced diet of social interaction, physical activity, creative play, outdoor time, and opportunities for active exploration. All of those things are important experiences for children who are in the process of developing their minds and bodies. And technology can be especially beneficial when it is used to enhance those real-world experiences. How can parents enhance real-world experiences through technology? Chip Donohue: The role of the adult is to help children make connections between the technology experience and real-life experiences. For example, if a child is counting objects using the computer, parents can reinforce this by counting socks, carrots, or other items children see around them every day. Or when a child has a question about something in their environment, technology can be used to find information or pictures related to that question. There should be a seamless connection between the virtual and real worlds. And when children are using technology, we like to see it used in a manner that we call joint engagement. Chip Donohue: It’s very important for children to interact with adults and form meaningful relationships, so we encourage parents to be active participants in their child’s learning by talking with the child while the child is using technology in order to help make connections to the real world. We want parents not to walk away when the child seems to be engaged with the device, but to use that as an opportunity for interaction and communication. When the parent and child are interacting with the technology and with each other, that’s joint engagement. Actually, it’s a pretty simple idea. We want parents to be doing the same thing with technology that they are already doing with books and stories—share the experience with the child, and talk about it so that children can relate that experience to other experiences in their lives and to the things they see in the world around them. What should parents look for when choosing technology for their children? Chip Donohue: Parents should trust their instincts and their own knowledge of their children. What does the child like to do? What are their interests? What are their abilities? How do they like to learn? What are their talents and things that they’re really good at? What are their needs as a learner? The parents should base technology choices and learning choices on that solid foundation, then watch what happens. We want children to feel confident, excited, and eager to play, explore, and learn as they interact with technology. Children should be active participants in building their own knowledge and not just passive recipients. Sometimes we get the message that a website or an app or a TV show can be either educational or entertaining. I think great children’s media is both. Chip Donohue: Sometimes I talk to teachers about leaning in and leaning back. When a child is really engaged, they lean in towards the device, because they are eager to interact. When a child is a passive recipient of information, they tend to lean back. We all have moments of passive viewing in our media diets, so it’s not that that’s inherently horrible. But when I think about technology that parents are choosing for kids for learning and education, I want it to be a leaning in experience. What about very young children, under the age of two? Chip Donohue: Even very young children are growing up with technology tools around them, and they will pick them up and investigate what they can do with them just as they do with everything else that’s in their environment. But the younger the child, the more caution I have about whether technology is appropriate. First, we make the decision if it’s the right thing to do, and then we want to be very thoughtful and intentional about how we use it. And it’s especially important with very young children that if the child does have access to technology, that technology is not replacing or interfering with the development of personal relationships with parents and caregivers. What you really want to see is that technology provides opportunities for shared experiences and conversations between child and adult, and, again, that the adult is helping make connections between the real world and what the child sees and hears on the device. Chip Donohue: This is another case where technology can strengthen a relationship, because it’s definitely a topic that parents and teachers should be talking about. Parents can ask how technology is used in the classroom and how technology could be used at home to support what the child is learning in the classroom. 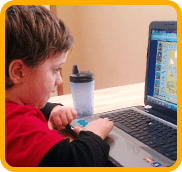 They can also talk about what they observe when the child is using technology at home for learning—what seems to engage the child, and what the child is learning. Teachers and schools can also use this as an opportunity to educate parents about technology and perhaps share with them some of the information we have been collecting here at the TEC Center. So the technology can be both a conversation piece and a tool for communication. It’s a great opportunity for parents and teachers to learn and work together. What would you most like parents to understand about technology, learning, and children? Chip Donohue: I think technology can be an amazing enhancement and can offer unique opportunities for learning for young children that perhaps aren’t easily reproduced in the real world. And it can enhance a child’s real-world experience in remarkable ways. We do need to keep in mind the fact that children feel empowered when they have an active role in their learning and are not just passive recipients of information. And we ought to recognize that right now we are all—adults and children alike—members of a learning community when it comes to using technology. Thank you very much, Mr. Donohue, for sharing your expertise with us. Chip Donohue: It’s been my pleasure. The 2012 position statement of the National Association for the Education of Young Children and the Fred Rogers Center for Early Learning and Children’s Media provides guidance to parents and teachers on how to appropriately use technology and interactive media with young children. It outlines issues and concerns regarding the technology and provides suggestions for the use of technology as a tool for learning. TM & © 2007-2019 Age of Learning, Inc. All rights reserved.